While diamonds are a girl’s best friend, they’ve been Kurt Pio’s muse for his latest pieces of art. 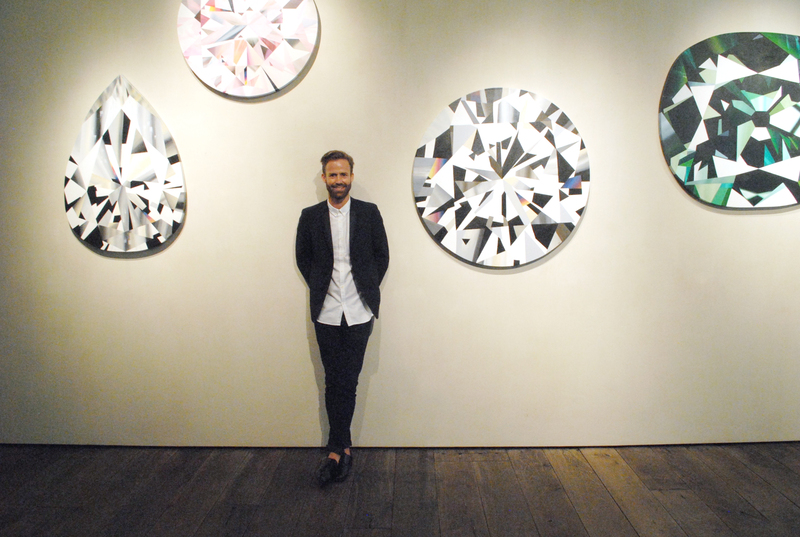 Cut and painted in Cape Town, they are now shining bright with two of his other collections at a gallery in Antwerp. Antwerp – the city of diamonds – is shining brighter than ever since Kurt Pio’s visit, as he’s exhibitioning his latest artwork at Graanmarkt 13. The South African painter, for ever inspired by Cape Town, bridges with this exposition the cultural differences between two very distant cities and it’s beautiful. Diamonds may be forever, but the unifying power of Kurt Pio’s art is above all magical. These Diamonds you’ve painted, I bet it’s not a coincidence that you’re exhibiting them in Antwerp? Do you think you’ll be adding Antwerp to your list of inspiring places after your visit? Does that mean that we can expect a sequel to your diamonds collection? What’s this thing you have with diamonds? So each of your paintings share a connection with South Africa, what’s the connection with the “Boys” paintings? Cape Town is often used as your source of inspiration, aren’t you afraid that at a certain point there’s nothing more left inspiring about it? This interview was originally written for This is Antwerp. Click through to get more info on the whereabouts of the exposition.